Color your iPhone protected with LifeProof frē for iPhone 5c. 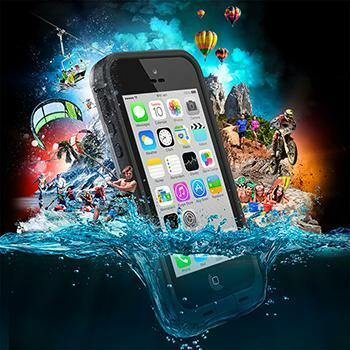 The clearly cool case for your colorfully cool phone, this waterproof iPhone 5c case delivers the legendary four-proof protection you expect from LifeProof, in a clear case that lets your color show through. The frē waterproof iPhone 5c case safeguard’s your iPhone’s brilliant Retina display with an integrated scratch protector that’s so thin, it’s barely seen or felt. And, we extend this slim, sleek style around your iPhone — delivering 360° protection and total access to every feature, function, port, control, and button. Along with the waterproof, dirt-proof, snow-proof, shockproof protection, LifeProof frē is designed to work seamlessly with your iPhone 5c. That means the camera, flash, buttons, microphones, and speakers work just as Apple designed them, in ways and places that you never dreamed. A unique point of view, and feel. 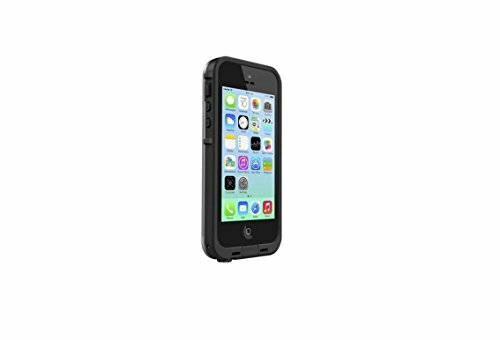 LifeProof frē for iPhone 5c cases use a built-in scratch protector to completely safeguard your iPhone 5c’s touchscreen. Ultra flat and optically clear, this thin membrane is virtually invisible to the eye and to the touch, and virtually invincible to the elements. That way, when you’re texting with friends, getting in some FaceTime, watching videos, or surfing the web, you never miss a beat or a pixel. iPhone 5c is all about color. So instead of covering the color to protect your iPhone, LifeProof developed a strong, clear case back that completely protects it while letting the color shine through. And all this protection never comes at the cost of usability. Along with the clear case back, four-proof protection, and slim silhouette, frē for iPhone 5c features an optical-glass lens, enhanced speaker ports, plus full function of and total access to every button, control and feature. It all adds up to the most protective, usable — and colorful — iPhone 5c experience possible. When we sat down to protect iPhone 5c, we asked ourselves what was most important. Impact ratings? Ingress standards? Usability? Our answer: none of the above. The most important thing about protecting iPhone 5c is iPhone 5c. And, since Apple designed iPhone 5c with beauty and depth, we took the protection to new depths and let the beauty show. Every feature works with your phone’s brilliant design, and the clear case highlight’s its brilliant color. Every LifeProof case is designed and built to stringent specifications, then tested in our factory to ensure maximum protection for your delicate device. The first build spec is the impact rating: MIL STD 810F-516. 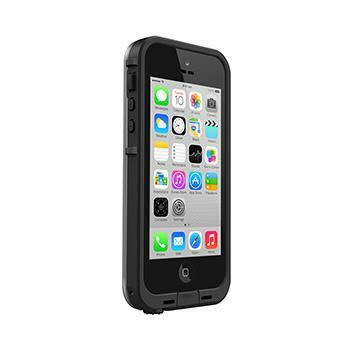 Cases built to this standard can survive the drops, vibrations, and bumps your device encounters day to day. The next build spec is the ingress rating: IP-68. This international standard for water and dust ingress protection means your LifeProof case is equipped to keep water, dirt, dust, and snow out. And finally, every case we make undergoes a Water Test at our factory before it’s shipped. At LifeProof, we use our cases everyday, everywhere for everything, and if we trust ‘em, you can too!